Thomas and Britt's 10th Visit at Kuredu! Kuredu Resort & Spa is fortunate to host many repeat guests throughout the year (take a look at the amazing year review here! ), and these past few weeks were no exception. During most weeks, we have seen well over 200 guests who have been at the resort more than once; at times, these repeat guests made up up to 30 per cent of the entire occupancy! Among them were Thomas and Britt, who celebrated their tenth visit with us. 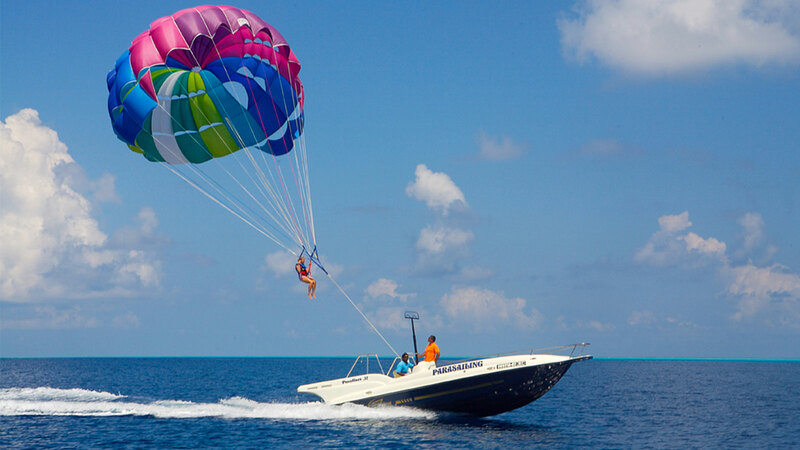 Like during their previous holidays, they made good use of the Ocean Watersport facilities during their tenth stay. Very soon after they had settled in, they got into their familiar island routine: diving, sailing, windsurfing, paddleboarding and gin & tonics. 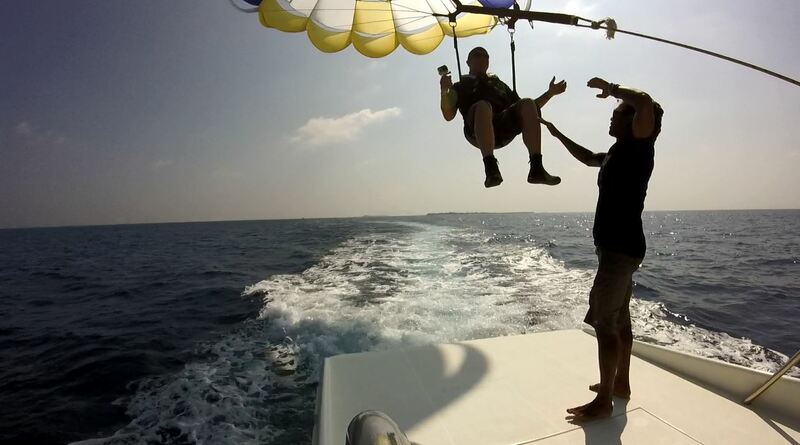 This time around, Thomas did some parasailing as well, and was eager to test out his new GoPro camera. He said it was stunning to see Kuredu from yet another amazing perspective, and we hope he will soon share his footage of Kuredu as seen from a bird’s eye view with all of us through Facebook! Thank you to Britt and Thomas, and to all other loyal Kuredu guests who keep returning to our little paradise island year after year. We enjoy welcoming you back as much as you enjoy being here!